We are experts in IP camera technology, offering you independent advice to help select the camera solution that's right for you. Our wide range of IP camera brands and models ensures we can offer a solution for almost any IP CCTV requirement whether the application is indoors or outdoors. The variety of camera types includes fixed cameras, pan-tilt-zoom (PTZ), wireless, covert, 4K Ultra HD, 1080p and 720p HD, and multi megapixel IP cameras. In addition to the supply of equipment, we offer free helpdesk support to our customers and can also provide on-site system setup and configuration, as well as IP camera installation and full scale system integration, whilst we also offer hosted video services such as live webcam streaming, cloud-based CCTV and web-based project monitoring. Sign up to our Newsletter to receive frequent special offers, discounts and new products updates. Stay informed on the latest in IP video & security. 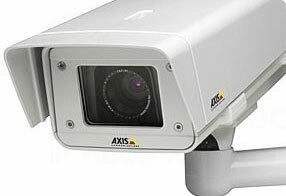 The indoor Axis M3045-V offers excellent image quality and features Zipstream for efficient data transfer & storage. It also supports PoE, on-board recording and Axis' free Companion application. 40m IR night-vision, Lightfinder, edge recording and support for the free Companion app. Outdoor high-performance IP camera, 25m IR, edge storage, Lightfinder & Forensic WDR. 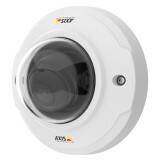 Outdoor-ready, vandal-resistant dome, 4MP resolution and up to 30m IR illumination. Edge-based Essential Video Analytics, HD 1080p, 30x optical zoom and optional 180m IR.